Academy Sports + Outdoors is a premier sports, outdoor and lifestyle retailer with a broad assortment of quality hunting, fishing, and camping equipment and gear along with sports and leisure products, footwear, apparel and much more. The Texas-based company operates over 160 stores throughout Alabama, Arkansas, Florida, Georgia, Kansas, Louisiana, Mississippi, Missouri, North Carolina, Oklahoma, South Carolina, Tennessee, and Texas. The Academy Sports + Outdoors philosophy is to deliver an unparalleled shopping experience by providing convenience, offering a broad selection of quality products, delivering exceptional customer service and selling the right stuff at every day low prices. ESP Sports is a community-based sports organization specializing in cultivating exceptionally spectacular players. The feature basketball team for ESP Sports is Team ESP. 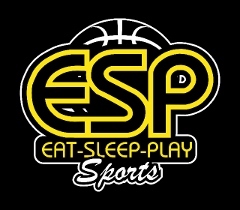 Team ESP basketball teams are grade-based teams of elite players from North Alabama. The ESP Sports program utilizes a concept of holism, primarily focusing on the physical, mental, and social state of each player. The program encourages academics, integrity, good health and nutrition, sportsmanship, discipline, character building, team work and hard work. Jump To It is North Alabamas best inflatable party rental shop. They provide Moonbouncers, Inflatable Wet and Dry Slides, Obstacle Courses, Jump,Climb and Slide Combination Units, Interactive Inflatables, Carnival Games, Concessions, and so much more! Jump To It only carries the best commercial grade inflatables on the market; guaranteed to be clean and in good working order. Their staff is a team of professionals dedicated to ensuring your guests have an insurmountable level of fun and memories that last a lifetime. From the first phone call, until the last guest leaves your event, you'll be treated with respect, courtesy, and unparalleled personable service. 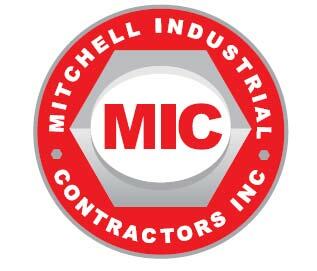 Mitchell Industrial Contractors strives to be a leader in providing value-added construction services to our customers by creating a successful partnership with them throughout the construction process. Our pledge is to establish lasting relationships with our customers by exceeding their expectations and gaining their trust through exceptional performance by every member of the construction team. We're known for our Incredible "Nashville-Style" pizza worthy of the praise previously reserved for the big city pizzas of New York and Chicago. But we also have a wide variety of delicious menu items like pasta, wings, hoagies & more! The key ingredients behind Pie In The Sky Pizzas recipe for success consist of its commitment of strengthening the community and working to enhance lives. The company has supported countless charities and worthy causes ranging from cancer research fundraisers and higher education to the fight against hunger and homelessness. Our belief in social responsibility reflects the companys dedication to helping build the community in which we work and live. SportsMed is a complete orthopaedic practice committed to the diagnosis, treatment, rehabilitation and prevention of injuries and diseases of the musculoskeletal system. Whether youre dealing with sports injuries, on-the-job injuries, or general orthopaedic complaints, SportsMed is the only resource you need. The SportsMed team is comprised of thirteen orthopaedists, a neurosurgeon, a physiatrist, a pain management physician, and three podiatrists with sub-specialization in numerous areas. Highly qualified physicians, fully equipped facilities, and a skilled support staff combine to create the right environment for excellence in orthopaedic care. Staples is the world's largest office products company and a trusted source for office solutions. They provide products, services and expertise in the categories of office supplies, technology, furniture, Copy & Print, and cleaning and breakroom.